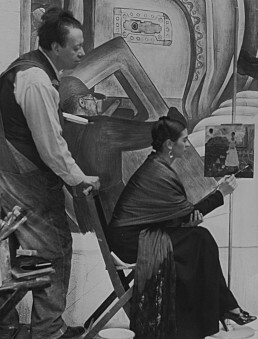 Probably the art world’s most famous couple -the Elephant and the Dove- Mexican power duo Frida and Diego. They met when Frida, a young aspiring artist, went to the famous muralist asking for honest critique of her artwork. Some years later in 1929, the two wed and went through quite a troublesome open marriage, but always seemed to come back to one another. In 1939 they briefly divorced only to remarry a year later. 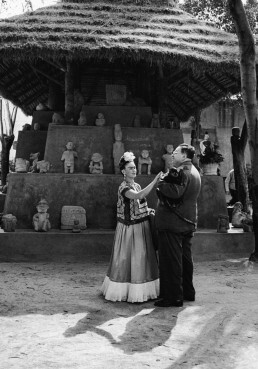 The second marriage lasted until Kahlo’s death in 1954. 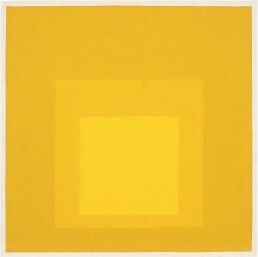 Both artists were renowned in their lifetimes and were each other’s muses. Each of them also called the other the love of their life. 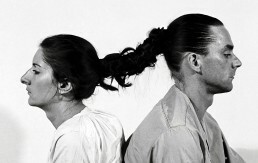 Marina Abramovic, The Artist is Present- with Ulay, 2010. Marina and Ulay lived a 12-year partnership full of love and groundbreaking performance art projects. 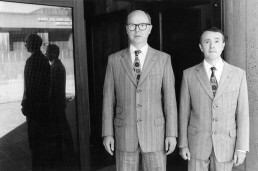 The pair met in 1976 and went on to perform memorable works such as Relation in Time (1979), The Other: Rest Energy (1980) and the infamous break-up performance The Lovers: The Great Wall Walk (1988). In the latter, the two artists walked for 90 days across the Great Wall of China from opposing ends to meet in the middle. 2500 km later, the couple shared a final embrace and agreed to end their relationship. 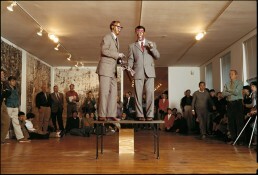 They would not see each other again until 2010 during Abramovic’s MOMA retrospective The Artist is Present. A video of their encounter was widely circulated and shows how much love and admiration the two still have for one another. 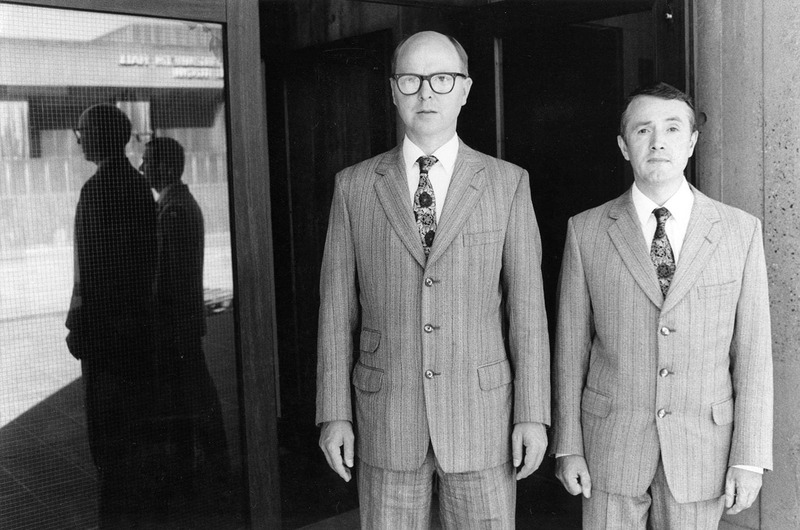 Gilbert Prousch and George Passmore met in 1967 as sculpture students on the campus of Saint Martin’s School of Arts. 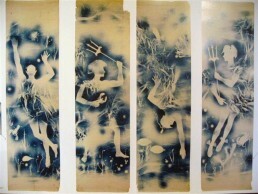 Since then, the pair has been collectively producing art and have a portfolio spanning more than 50 years. 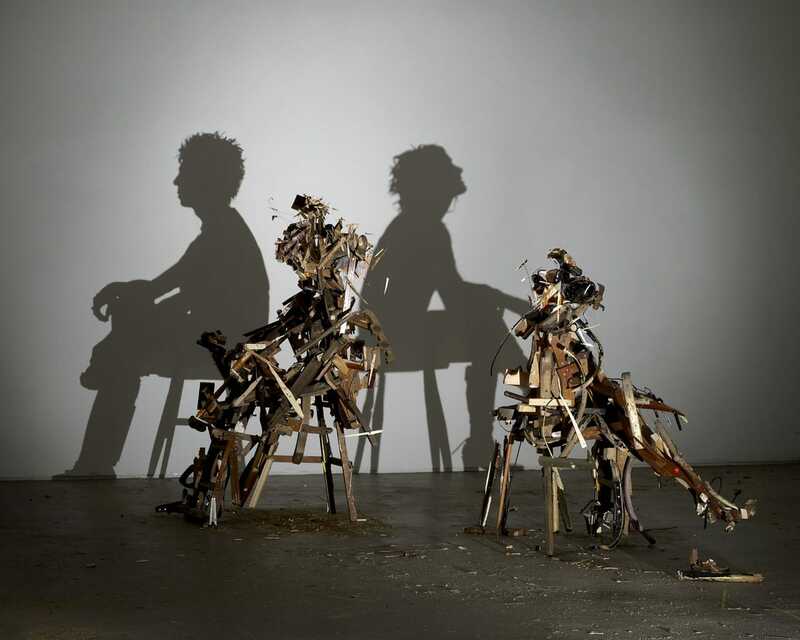 The artist duo use numerous media in their practice, including their own bodies in two and three dimensional works, all referred to as sculptures. 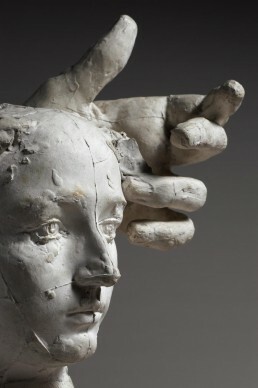 One of their earliest living sculptures was The Singing Sculpture. 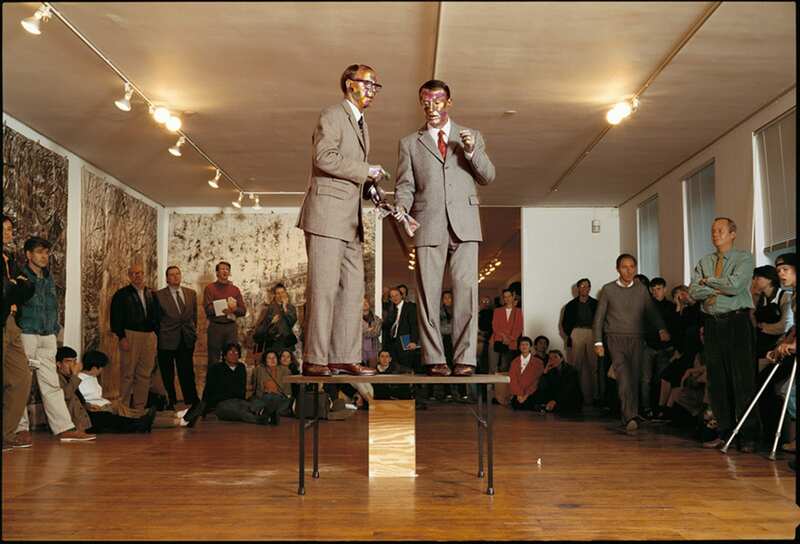 Lasting anywhere between 6 minutes and 8 hours, the performance found the duo in bronze body paint and dressed in suits singing the 1930’s song Underneath the Arches on repeat. The couple now reside in East London and were included in The Guardian’s list of 50 best dressed over 50 in 2013. In their two-year relationship, Miller and Lee shared a surreal love affair. They met at the end of the roaring twenties when Miller apprenticed for Ray at his Paris studio. Amidst the avant-garde lifestyle in their social circle, the photographers collaborated on many works credited to Ray from 1929-1932. 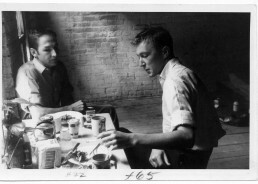 During that time, Miller assisted Ray while he focused on his painting. 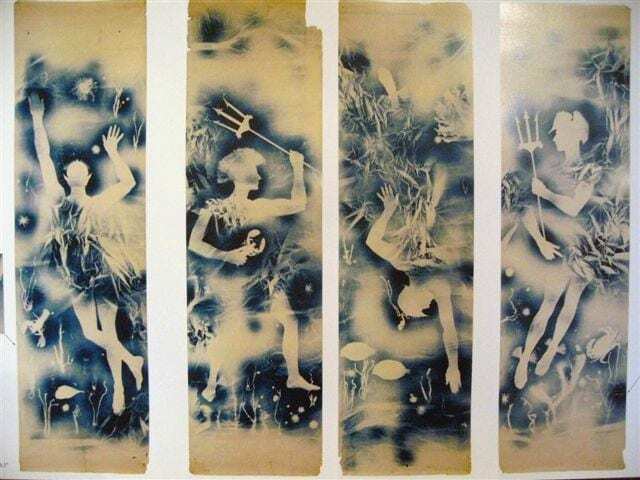 She is also credited for the rediscovery of Solarisation, the photographic technique mostly attributed to Ray’s work. 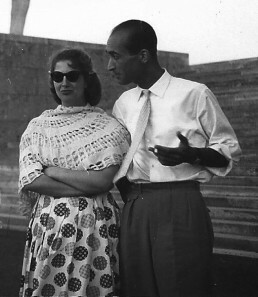 After the end of their romantic relationship, the two artists remained close friends until the very end. 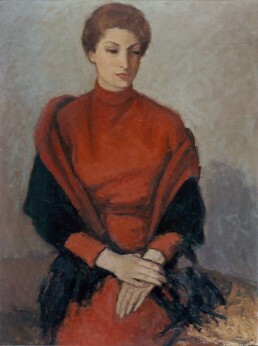 Mahmoud Hammad, Portrait of Derrieh Fakhoury, Oil on Canvas, 90x70cm, 1957 (courtesy of the artist’s estate) and other images of the couple around Rome and Venice. 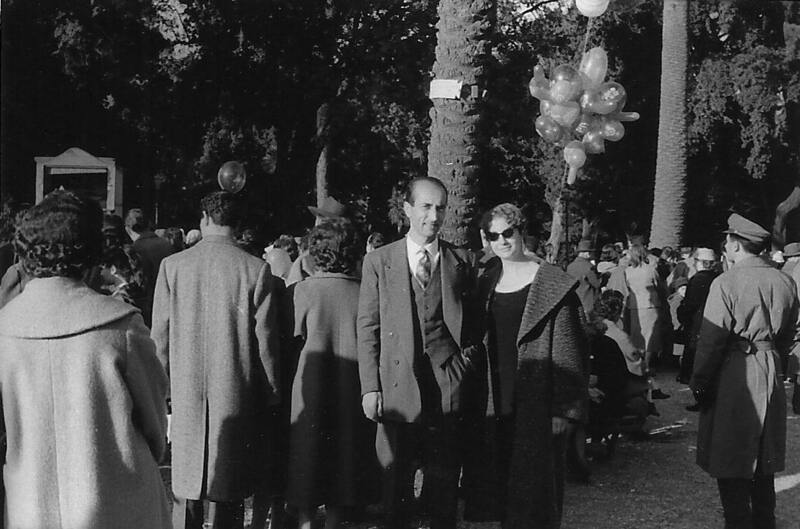 The Lebanese Fakhoury and Syrian Hammad met while studying at the prestigious Accademia di belle arti di Roma in the 1950’s. The artists married and lived in Syria where Hammad served as a professor and later a Dean at the Fine Arts Faculty of Damascus. The couple found a shared love for relief medallion sculpture and painting, and together worked to elevate the Syrian Art repertoire. Hammad’s abstractions of Arabic calligraphy and Fakhoury’s brightly hued pictures inspired by her rural environment create a perfect harmony that reflects the artists’ relationship. The serendipitous meeting of (the then unknown artists) Johns and Rauschenberg came in 1953 when Johns was working in a New York City retailer unsure of his future career as an artist. 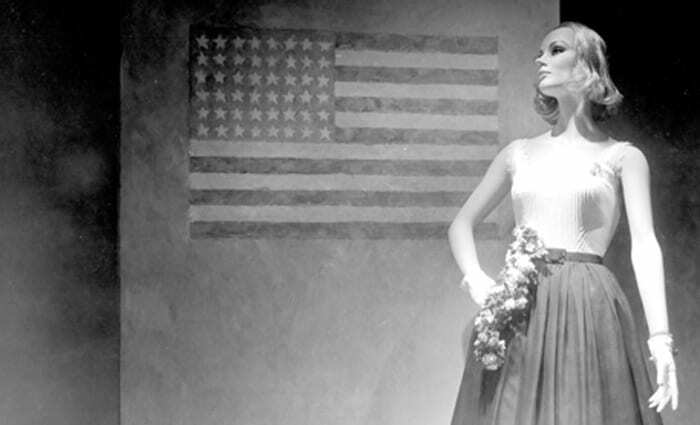 Rauschenberg then suggested Johns do commercial storefront designs for some extra cash, and somehow the two ignited a wonderful 6-year relationship. In their early years, they collectively worked under the pseudonym Matson Jones and created photographic storefront displays on the windows of NYC’s Bonwit Teller and Tiffany’s and Co. Ironically, some of the pair’s most famous individual works were displayed on the streets before later going into galleries! 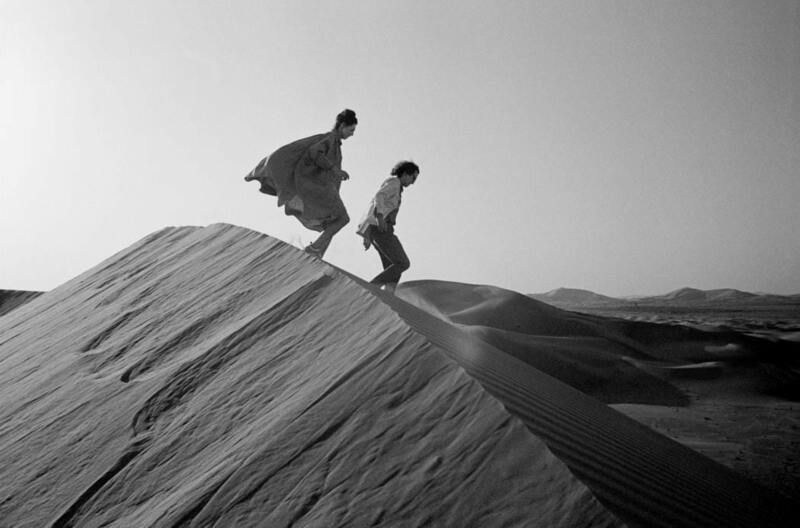 Christo and Jeanne-Claude looking for a possible site for The Mastaba, February 1982, Photo: Wolfgang Volz (christojeanneclaude.net), Iron Curtain, Paris, 1962 and first scale test model of Mastaba Abu Dhabi, 2011. 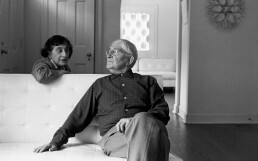 This power duo met in 1958 after Christo was commissioned to paint a portrait of Jeanne-Claude’s mother. 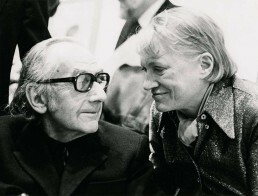 The pair married soon after and began a courtship of art spanning over 50 years until Jean-Claude’s death in 2009. 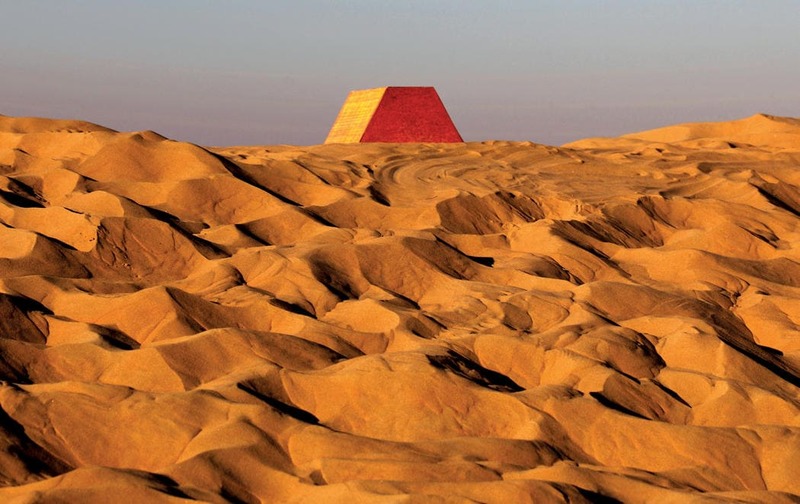 The couple are known for their monumental, site-specific work that alludes both political and environmental issues. 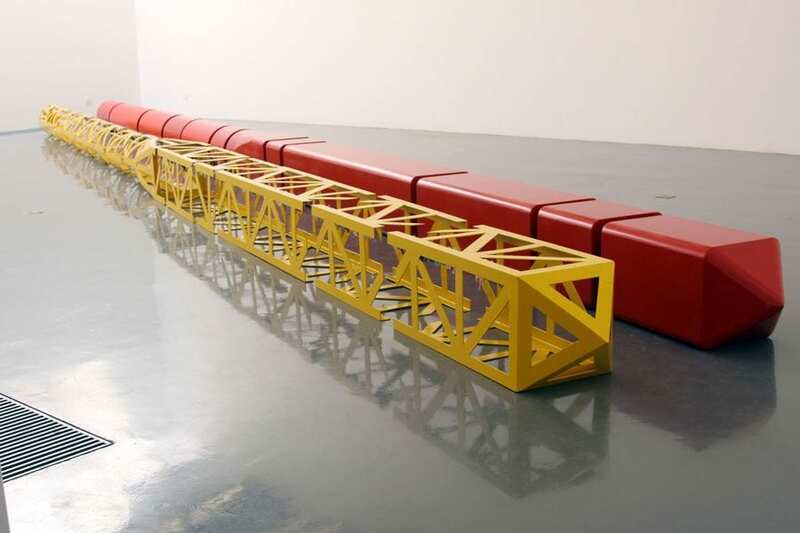 One of their earliest works together was the Iron Curtrain installation in Paris in June 1962. 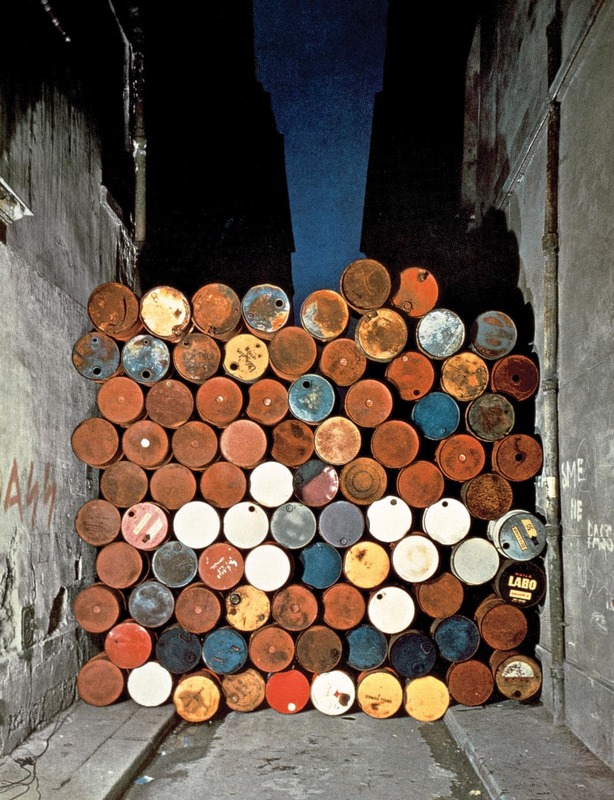 Christo had been closing up a narrow street with 89 empty oil barrels while Jean-Claude hung back and negotiated with the police why she believed the work had to be kept on display. The work was a public outcry against the establishment of the Berlin wall a year prior. 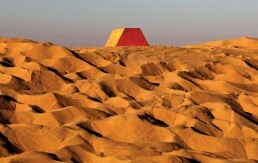 Since his wife’s death, Christo has been continuing their legacy by bringing their unfinished works to life. 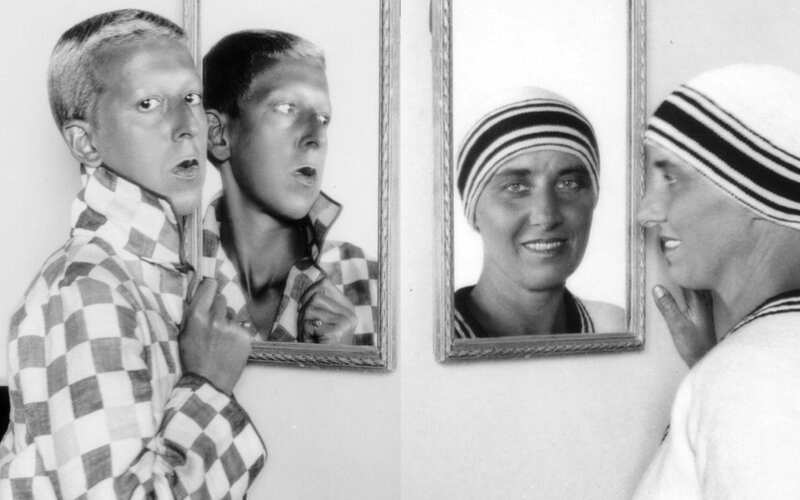 Born with the given names Lucy Schwob and Suzanne Malherbe, the two artists respectively adopted the gender ambiguous pseudonyms in the late 1910’s Claude Cahun and Marcel Moore. They met in the early 1900’s, and as fate would have it, they became step-sisters some years later in 1917. 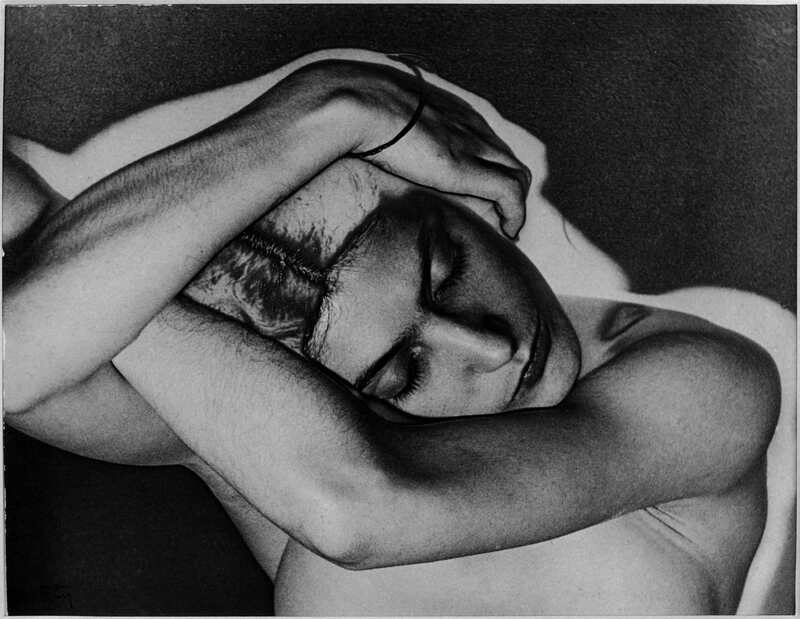 Cahun was a photographer, writer and sculptor while Moore was an illustrator, designer and photographer. 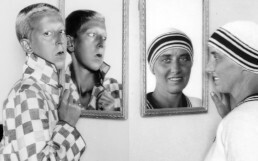 For over 35 years, the two artists were creative partners and changed the perception of gender roles through art and played a crucial part in the history of surrealist photography. 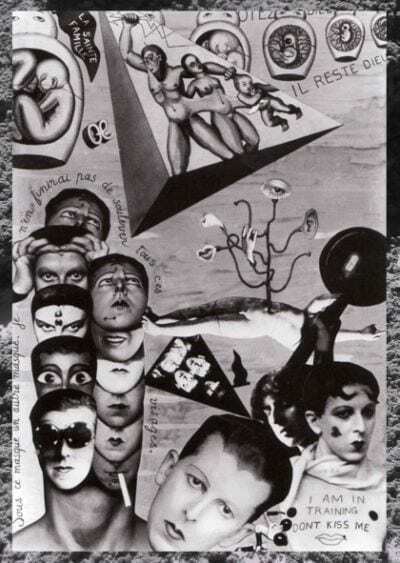 One of their collaborations came in a form of the anti-autobiographical book authored by Cahun, Disavowals. For it, Moore provided illustrations, collages and other photomontages. 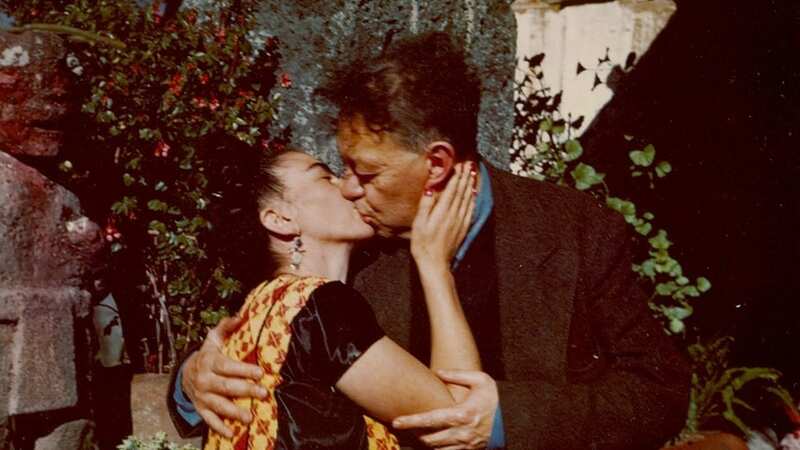 The couple remained life partners until Cahun’s death in 1954, and are buried next to one another in Jersey, France. 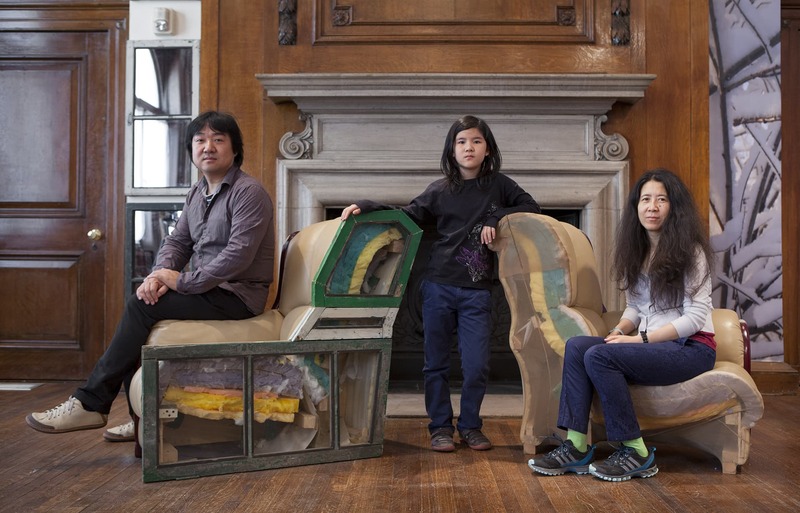 Yin Xiuzhen and Song Dong with daughter Song ErRuil at The Way of the Chopsticks, Authority 权利, Wood, paint; wood, 24k gold left, sewn felt buildings, 44.5x554x114.5cm, 2013 and Chopsticks: Cut, Metal, used clothes, mirrors, wood, monitor, 1200x40x40cm, 2011, installation view at Chambers Fine Art, Beijing. 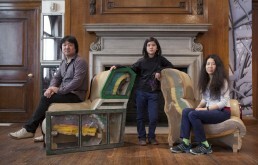 Contemporary Chinese power couple Yin Xiuzhen and Song Dong are partners in life and art. They met as students in 1992, and have been collaborating on an ongoing project entitled Chopsticks ever since. In this series of work, each of the pair creates one half of chopsticks after agreeing on fixed parameters in isolation. Once they are both finished with their halves, they show their work to the other. 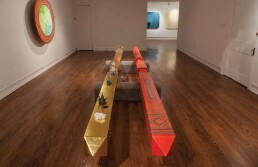 In 2013, the couple collaborated on the site specific installation at the Philadelphia Art Alliance with their then eleven-year-old daughter Song ErRuil, The Way of the Chopsticks.This extension of the couple’s Chopstick series highlights the generational and cultural shifts in modern day China. This notorious couple met when Claudel apprenticed at the infamous studio of Auguste Rodin under the artist’s hands. Their student-teacher relationship quickly shifted to begin a 10 year romantic and creative partnership. 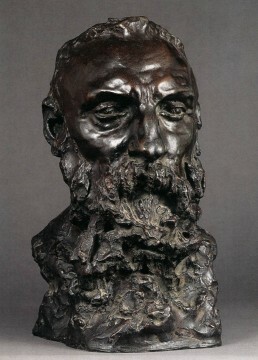 Claudel was given the arduous tasks of preparing structures, clay, plaster as well as finalising hands and feet on Rodin’s most well known sculptures; art historians can hardly tell his artistic fingerprint from hers. Their collaboration greatly influenced each other’s works, and both were left heartbroken at the failure of the relationship. 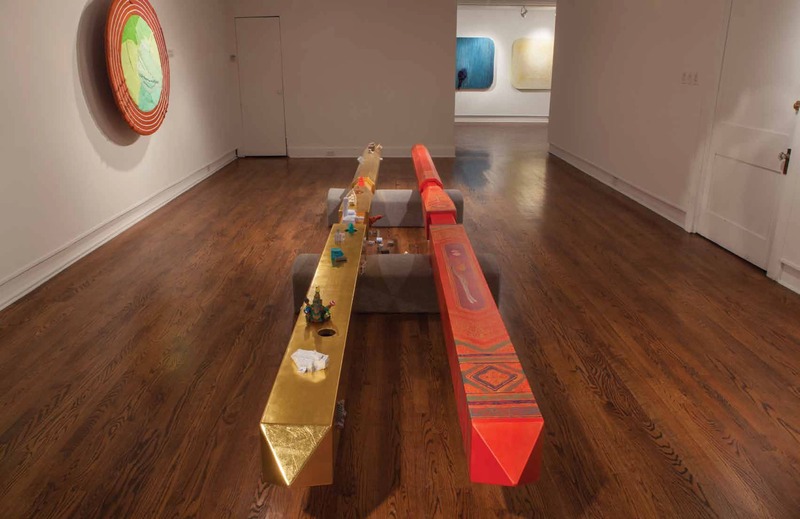 In recent years, international exhibitions have been curating shows showcasing the works of the two artists side by side, as a way to immortalise their love. 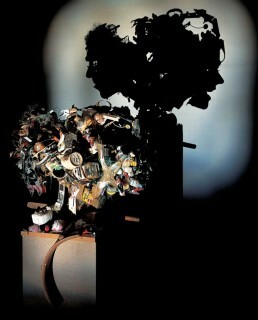 Tim Noble and Sue Webster, Falling Apart, Personal items trashed and light projector, January–March 2001. and Wild Mood Swings, 2 wooden stepladders, discarded wood, light projector, 2009-2010. Associated with the post-Young-British-Artists generation, the pair met in in 1986 as fine art students at Cheltenham Art College. 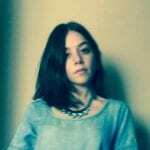 They have since been collaborating in their practices. 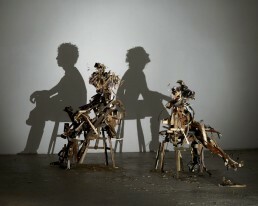 The two are mostly known for shadow projection sculptures made from discarded wood, metal and other materials. They married in 2008 and divorced in 2013, but are still creative collaborators. Anni and Josef Albers photographed at home by Henri Cartier-Bresson in 1968 and Anni Albers, Wallhanging, wool, silk, chenille and bouclé yarn, 236×96cm, 1925 and Josef Albers, Study for Homage to the Square (Autumn Scent / Smell), Oil on Masonite, 40.6× 40.6cm, 1966. Dubbed ‘the Bauhaus misfits’, this couple met at the infamous Bauhaus. Anni was a textile student, while Josef was a Junior professor at the school. 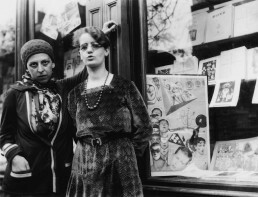 They married in 1925, and neighboured fellow artists the Klees as well as the Kendinskys. 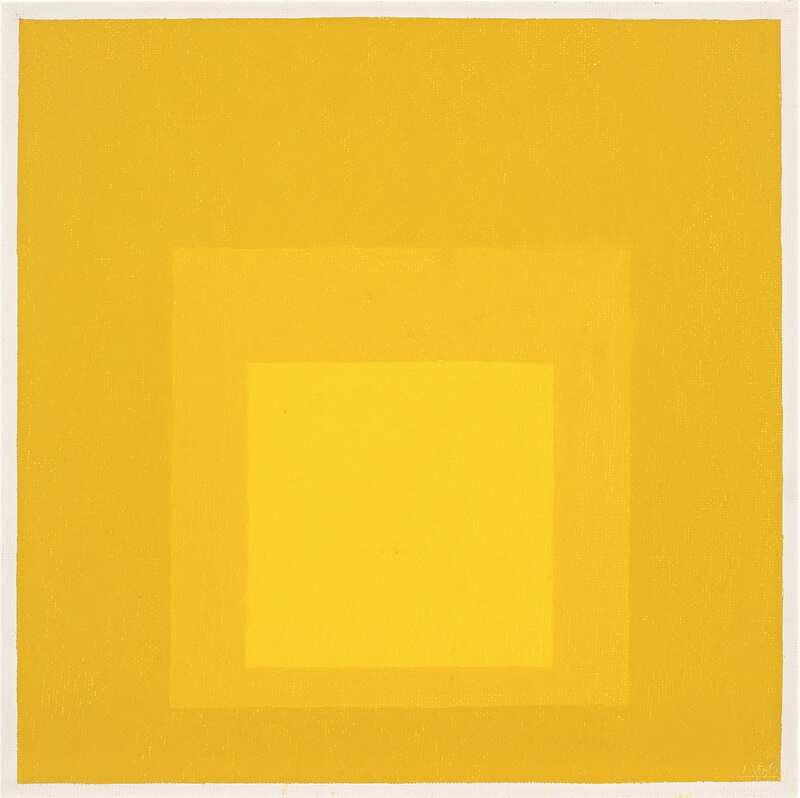 In 1971, the two founded the Josef and Anni Albers Foundation, an organisation they hoped would further ‘the revelation and evocation of vision through art’. An impressive share! I have just forwarded this onto a colleague who was doing a little homework on this. And he in fact bought me breakfast due to the fact that I found it for him… lol. So allow me to reword this…. Thanks for the meal!! But yeah, thanks for spending the time to talk about this issue here on your blog.